Years ago I read an article. 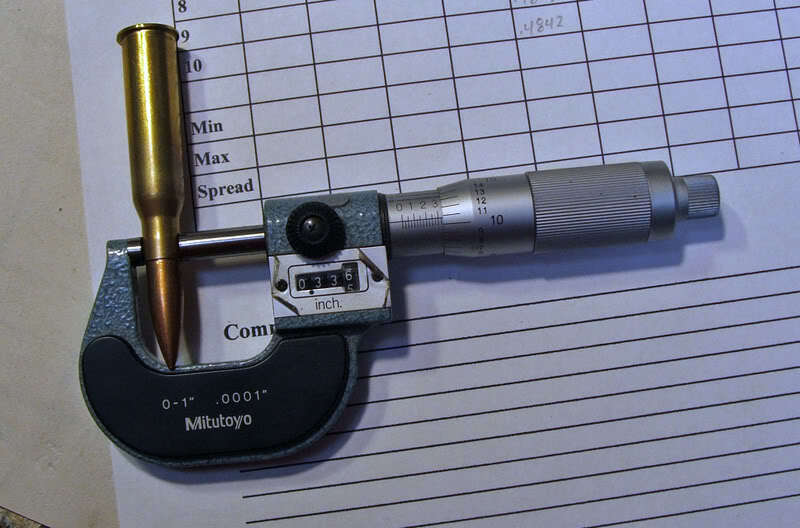 The subject was precision hand loading for accuracy. is keeping every factor, every component, as close to perfect as possible. available, I was thinking that another phrase might be more fitting. few exceptions this has been true. 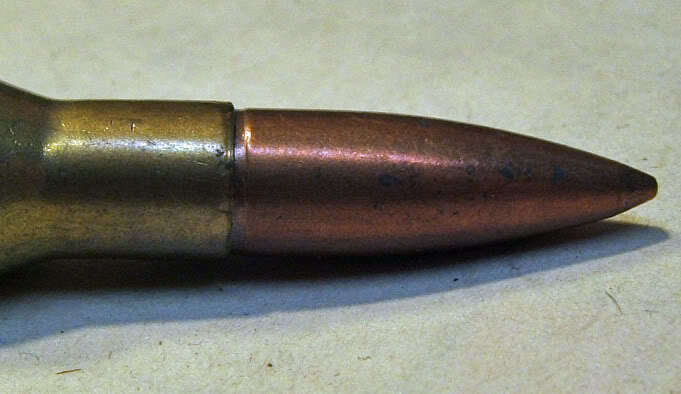 remembered that this is only 10 rounds, out of millions produced. pulled using an RCBS collet type puller mounted in an Ammomaster press. most loading equipment the case mouth crimp depth is dependant on case length. The longer the case, the heavier the crimp, all other things being equal. must be taken to be accurate. 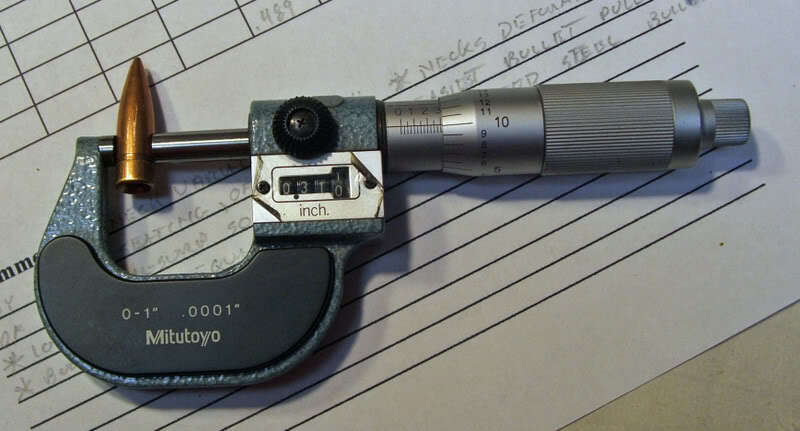 While making neck diameter measurements, something special was noticed. non-concentric way. In other words, they are not centered in the necks. 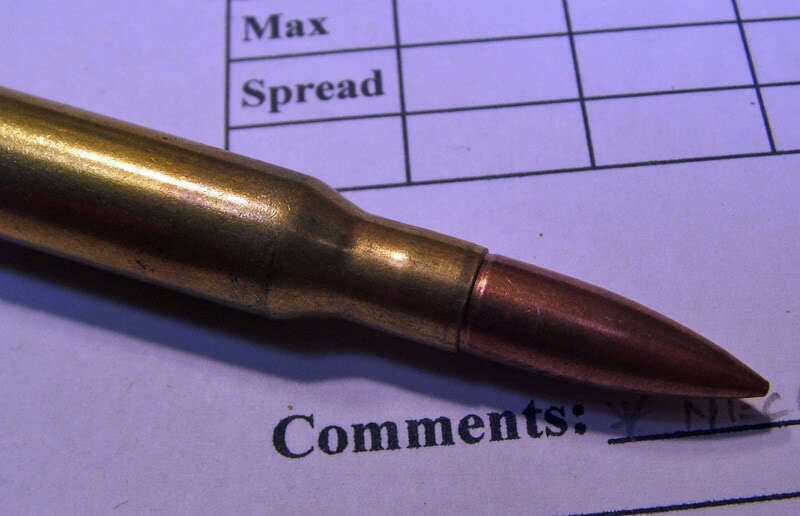 by the bullets varying at least that much in roundness. 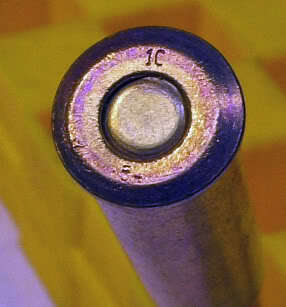 Over all length of loaded cartridges: From 3.000” to 3.020”, with a spread of .020”. 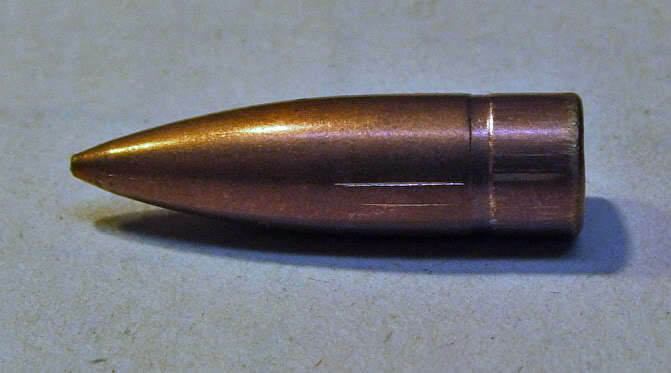 case mouth to bullet crimp, in my opinion. Cartridge base diameters stretched from .4821” to .4850”, with a spread of .0029”. extruded grain resembling IMR 3031, but clearly not exactly the same. 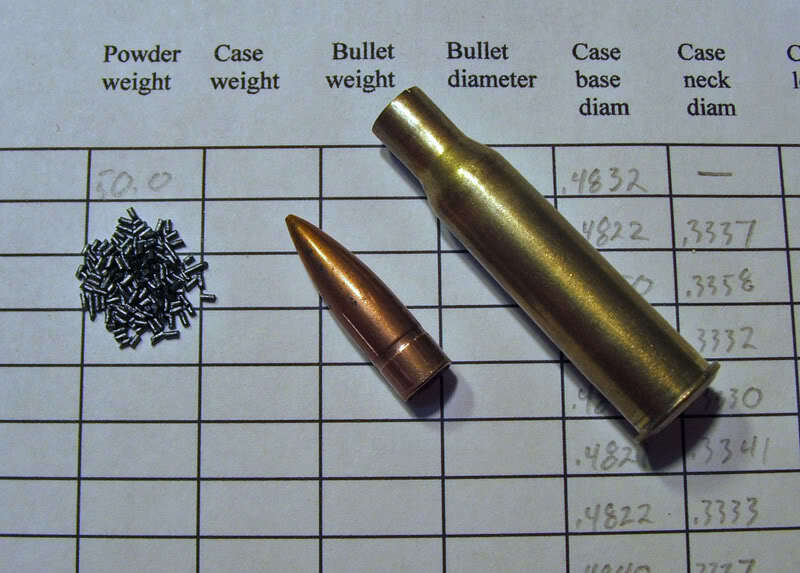 Charge weights varied significantly, from 49.5 grains to 50.1 grains. 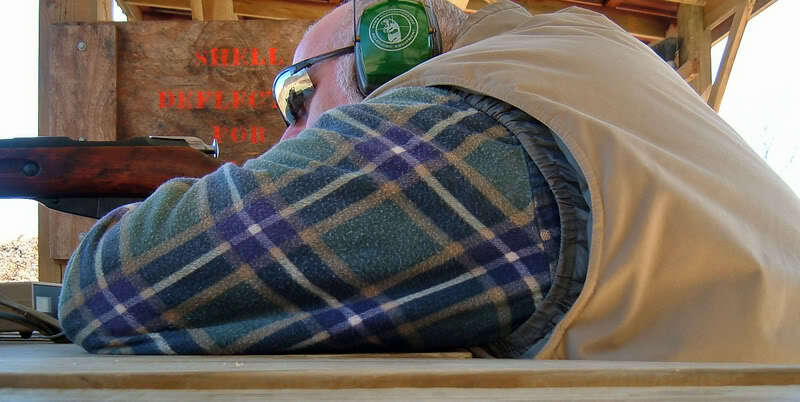 ranging from 150.5 grains to 151.9 grains, with a 1.4 grain spread. 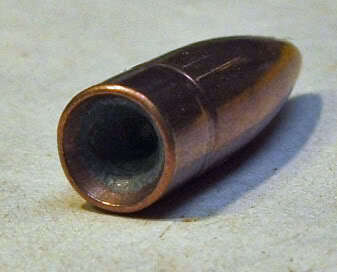 The bullets have a lead core, with a copper plated mild steel jacket and a deep cannelure. 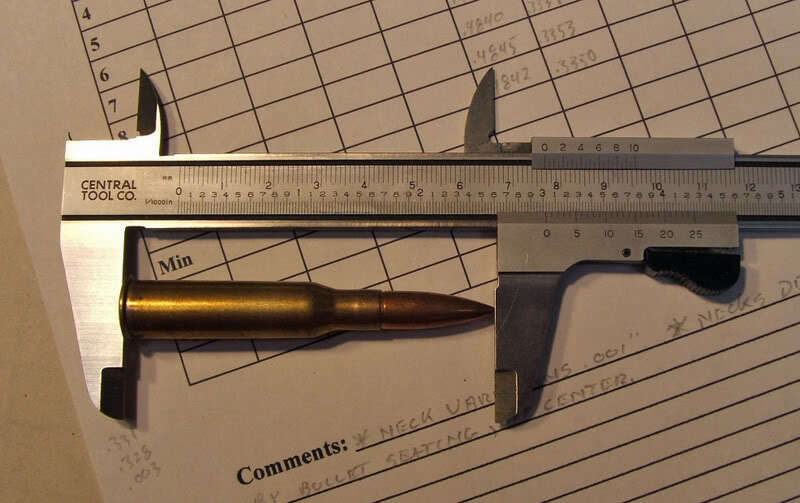 Bullet diameters measured from .3092” to .3112” with a surprising range of .0020”. wider in the quest for accuracy. 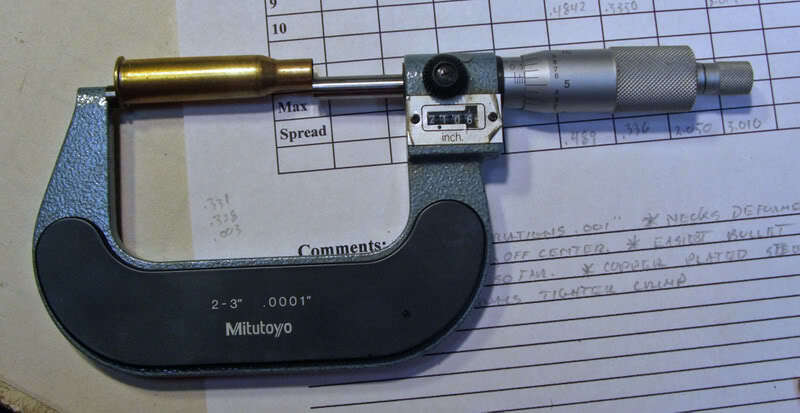 My own Mosin bores slug from .312” to .315”. 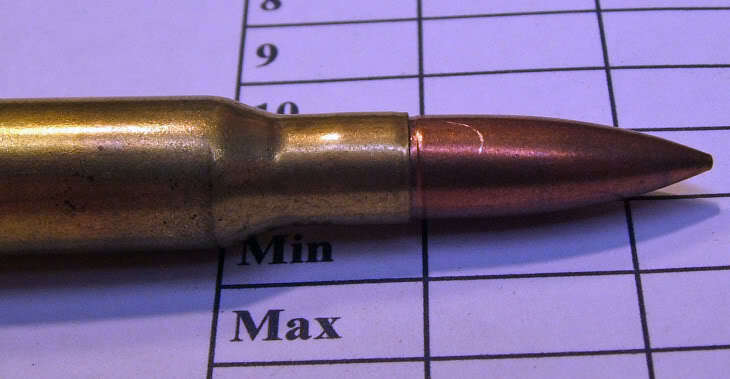 A bullet that much undersized must simply bounce down the bore. 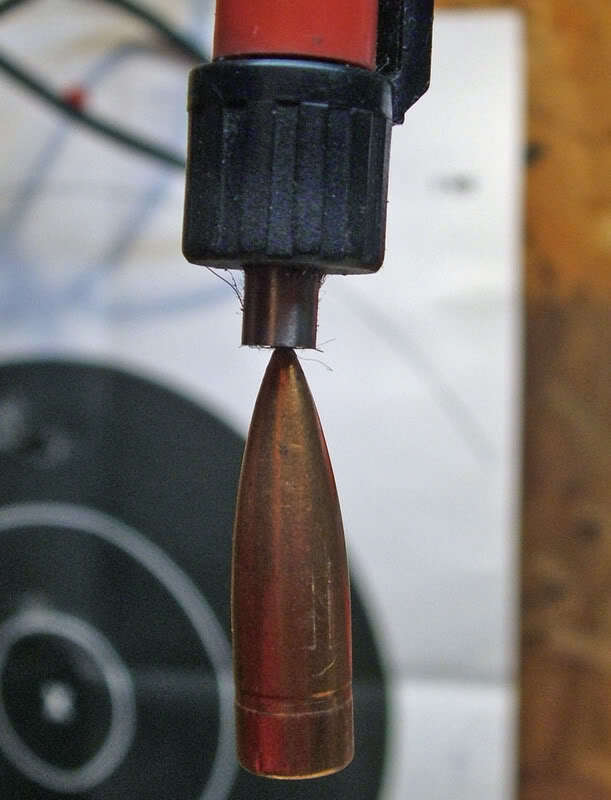 treatment the bullet will shift in the neck, once again damaging accuracy. 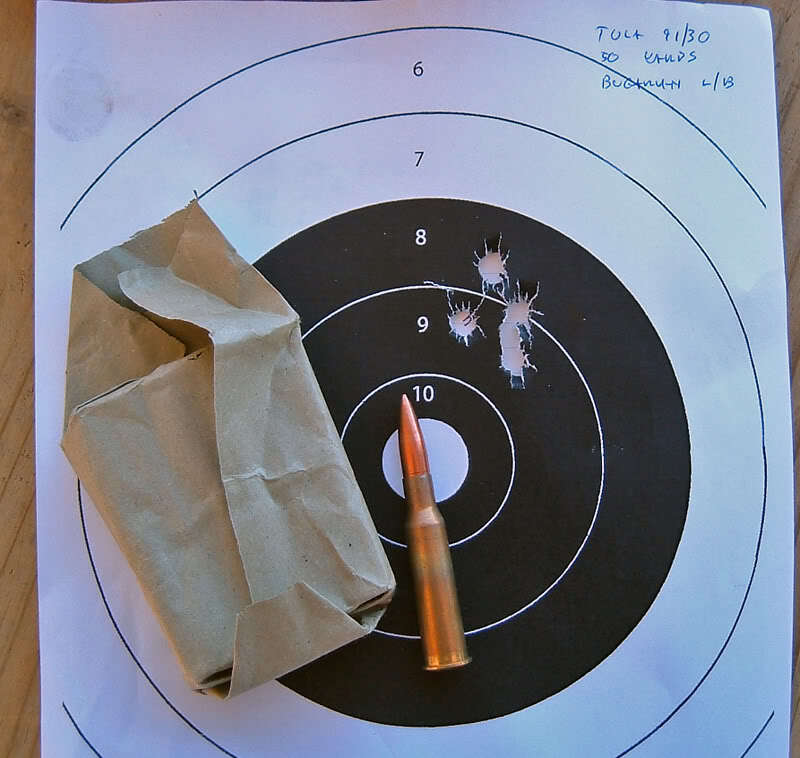 Treatment as ‘rough’ as chambering a round from the magazine might do this. was 145.6 grains, the heaviest at 152.5 grains, with a spread of 6.9 grains. weight variation is due to case wall thickness. to understand my interests a bit better, and share my interest at the same time. which I have found to be a good indicator of accuracy potential, or lack of. I’ll report back after that range day....... this should be interesting. There’s always the chance my conclusions are completely wrong. 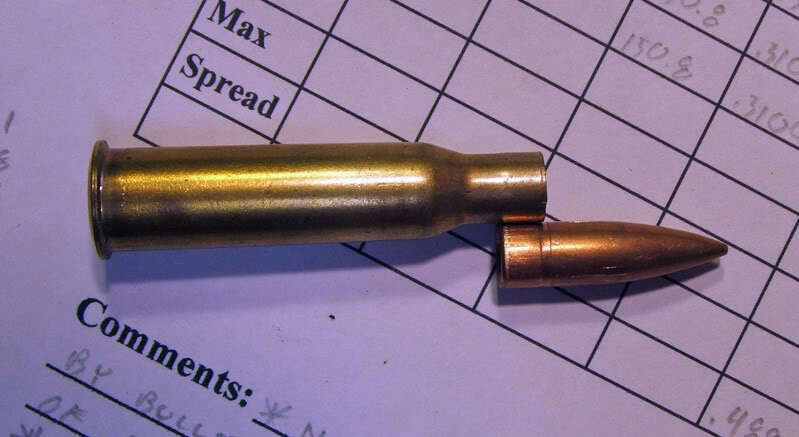 This might be the most accurate ammo ever fired in a Mosin Nagant. bean burrotos.............. I was wrong then too. 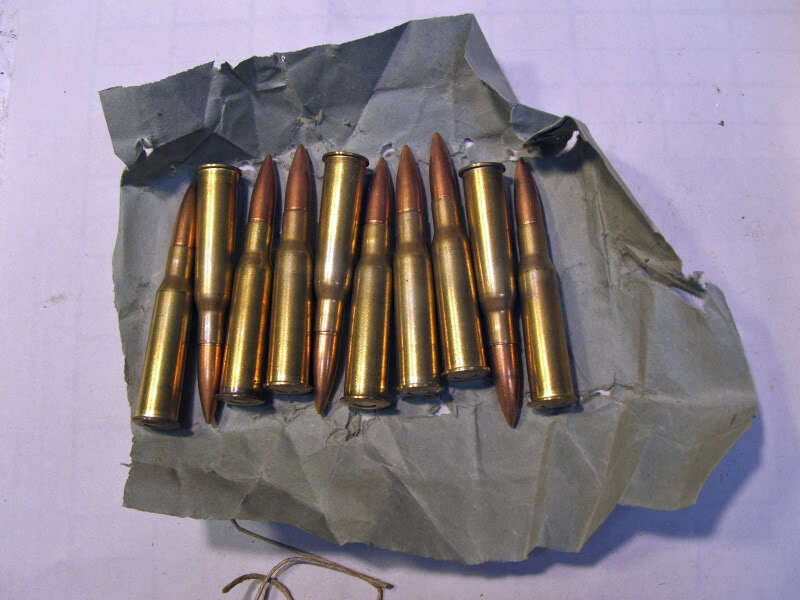 .....at a few of the cartridges examined recently in the ‘Inside look’ episodes. the planets seem to be in proper alignment. 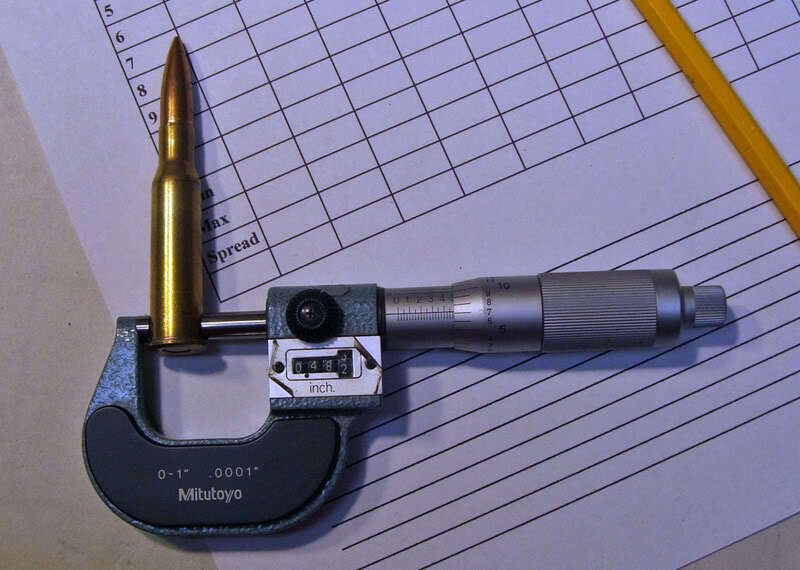 Goals today were to validate some thoughts on various mil-surp ammunition. 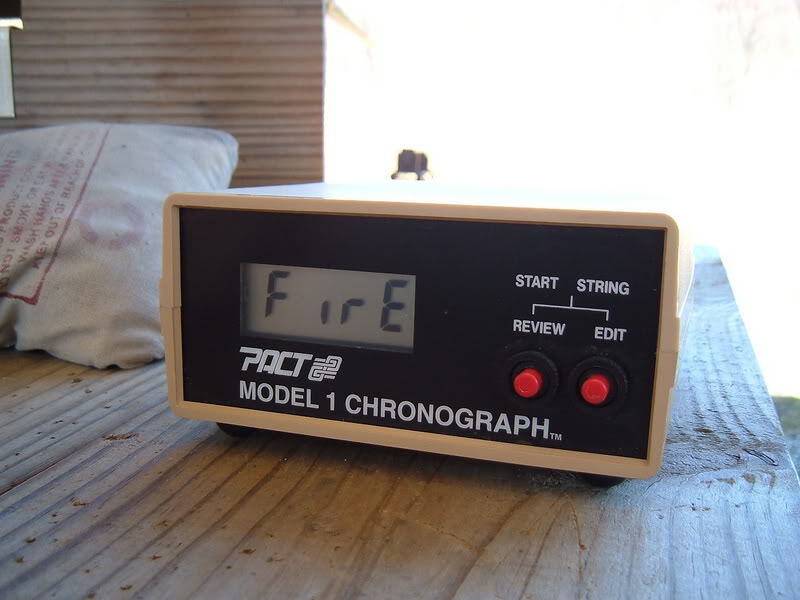 The velocity measuring device I use is a Pact Model 1 chronograph. for years. Features are scant, but it serves nicely. distance from each other, then connected to the magic box via cables. blow them to pieces. That takes some small bit of fiddling. 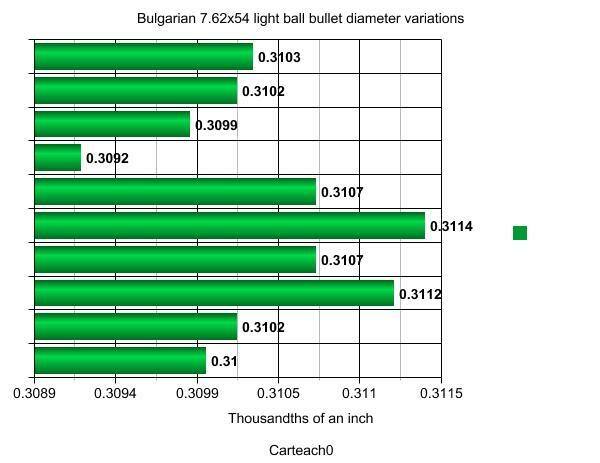 First up, and the most surprising candidate, is the Bulgarian 7.62x54mm light ball. them over a chronograph on the way downrange. 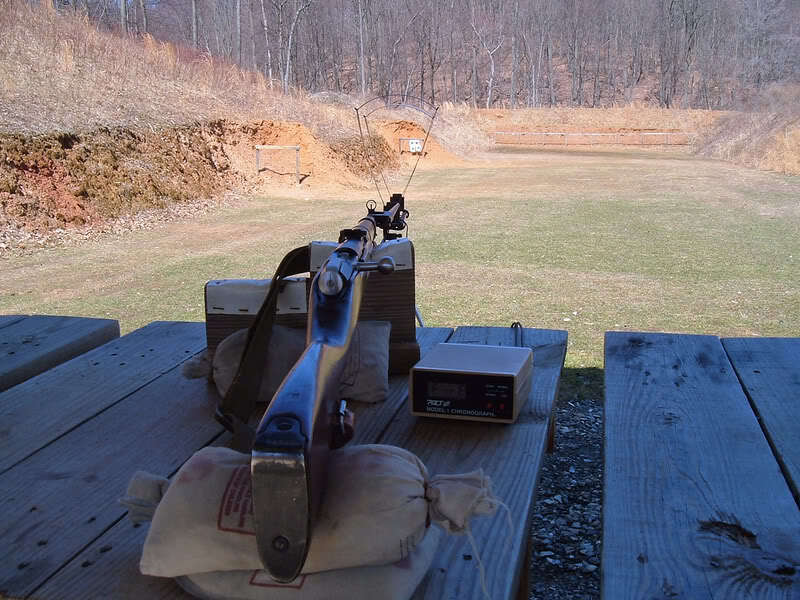 I chose my Tula ex-sniper 91/30 for this test, as it’s my most accurate Mosin rifle. 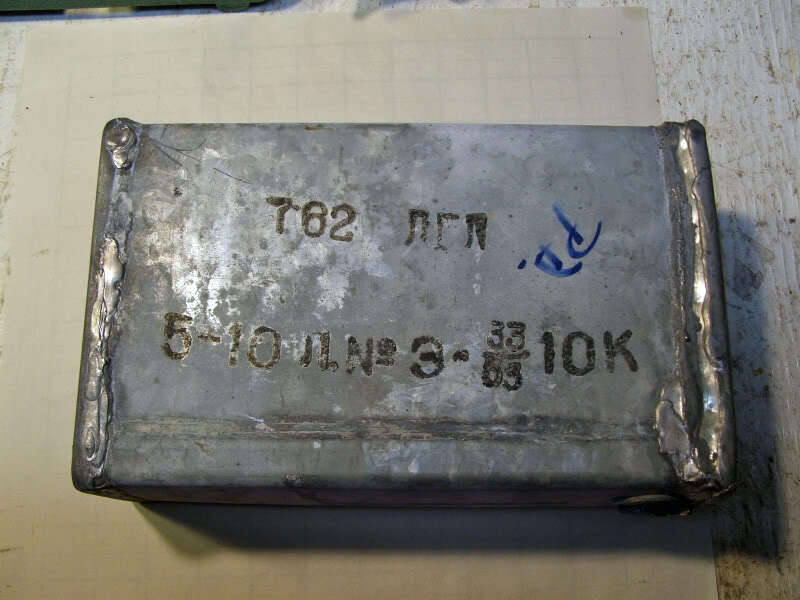 accuracy of this ammunition from the Tula. down to the 100 yard back stop every fifteen minutes. The Polish light ball turned in a predictable 1.5” and 2” group at 50 yards. 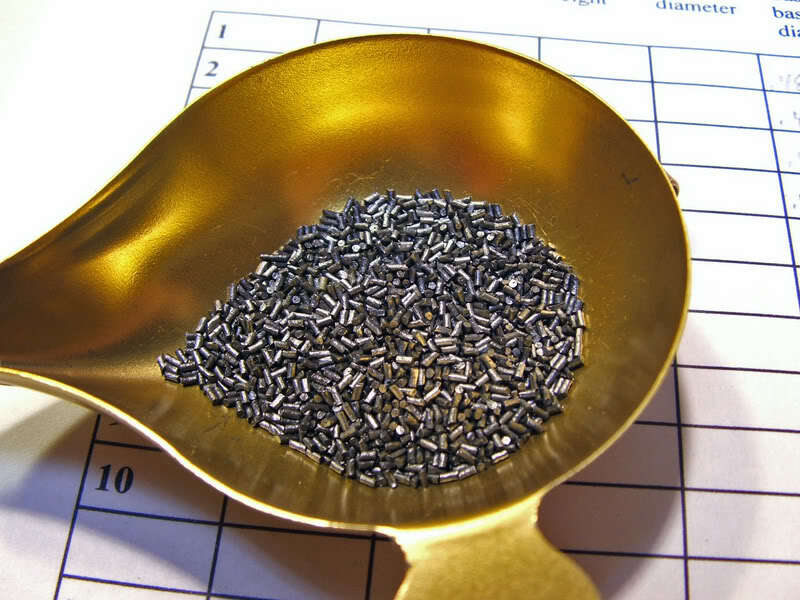 plant them all under an inch with handloads. Notice the numbers do not vary from the Polish light ball by any large amount. targets I would not have believed what I saw. The group was TIGHT. How tight? within a few FPS of the first group. 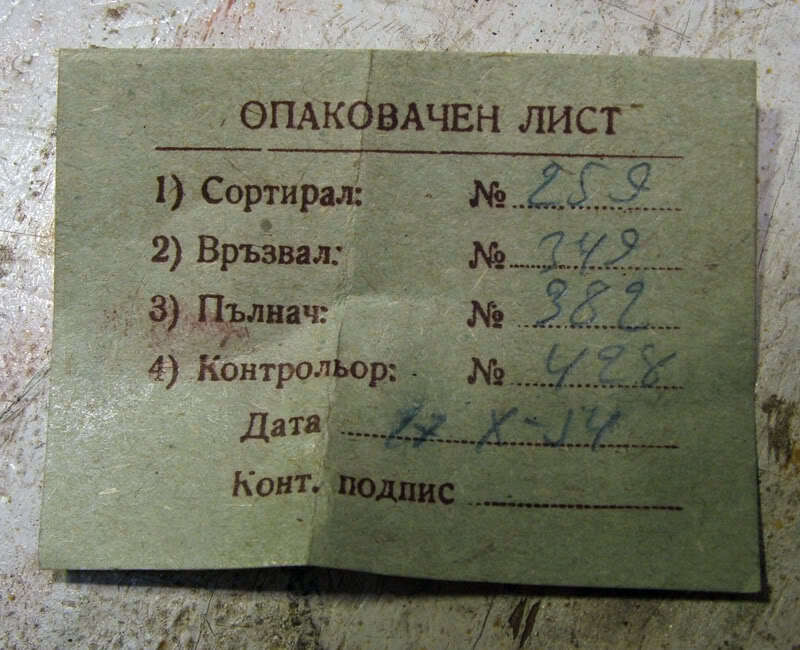 least in my Tula ex-sniper. this stuff shoots pretty darn good through my Tula. Great Job. Held my fascination from start to finish. Did you notice a blast and/or recoil difference (between the two), that was worth mentioning ?